The Flagman > Products > PVC Vinyl Banners > PIGGYLICIOUS PVC BANNER.. POA.. Produced recently for a Customer from our website . We can produce any size you require. If you wish to proceed we will provide a digital mock up of the design for your approval before we print. We aim to turn the banners around within 5 working days of payment. 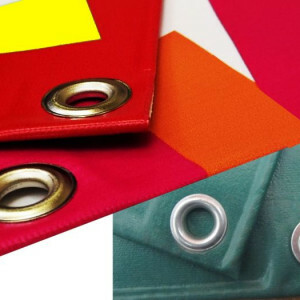 Our banners come complete with metal grommets for fastening.